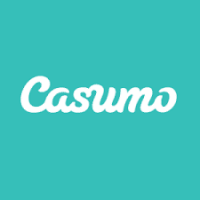 If you want to inject even more fun into playing casino games online, then Casumo could be the right casino for you. This bright and colourful casino website has a playful edge, with a unique and exciting rewards scheme. As for the game selection, with over 800 titles to choose from, there is never a dull moment. Roulette players will find a diverse range of tradition games as well as innovative variants. Plus, the selection of live dealer games is impressive. In this review, we’ll delve further into the games, bonuses and promos, mobile app and more.